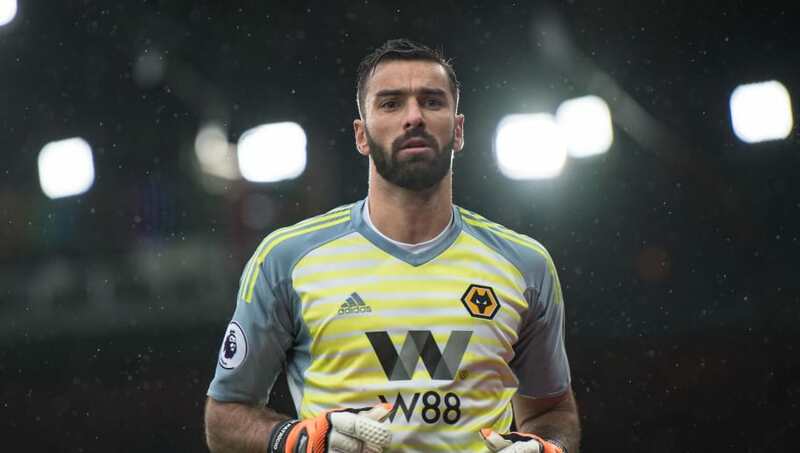 ​Wolves have confirmed that they will pay Sporting CP a fee of €18m for goalkeeper Rui Patricio after his summer move to the Midlands. Patricio moved in a summer of turmoil for the Portuguese side, whose players were attacked at one point by a group of disgruntled fans at the training ground. That move was the trigger for a mass exodus, with a number of players and their agents claiming that the events effectively voided their contracts. The club had sailed through turbulent waters under the so-called guidance of president Bruno De Carvalho, who resigned in the wake of a general assembly at the club – a move which in turn began a healing process around the club, including a structural change in leadership. Sporting then threatened a number of clubs with legal action after 'their' players were picked up elsewhere – with the legality of the voided contracts somewhat questionable. ​Wolves ​confirmed on Wednesday evening that they would be paying Sporting €18m for Patricio's services – a figure still well below his market value – and that they now consider the matter closed. Other departures from Sporting this summer include Gelson Martins, who moved to ​Atletico Madrid. Martins has featured sporadically in the Spanish capital, grabbing a winner in the Copa del Rey this week, but is the subject of a battle between his new club and old. A graduate of Sporting's youth system, 23-year-old Martins had a release clause of €100m in his contract – a figure which the Portuguese side are demanding be paid in full by Atletico.